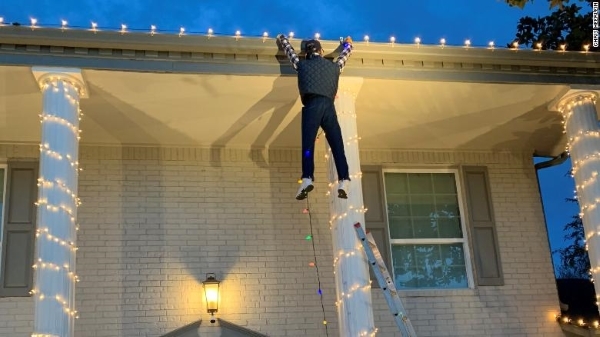 Earlier this week, the Heerlein family put up a display paying homage to the scene from “National Lampoon’s Christmas Vacation” where Clark Griswold hangs from the roof of his house while trying to put up Christmas lights. “We’d love to be able to find him and reach out. 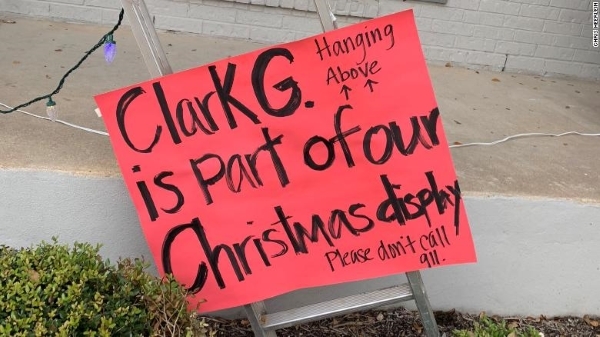 We have a very special gift that we would like to give him and we’d like to tell him thank you,” Wheless said.